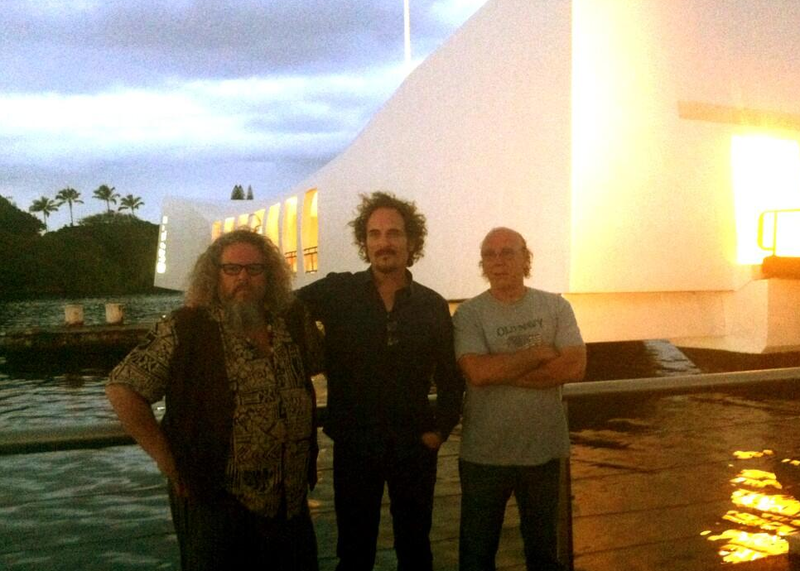 Is there a word or phrase that conveys “happily exhausted?” When I first meet Kim Coates, Mark Boone Junior and Dayton Callie of Sons of Anarchy on the last day of their whirlwind tour of the Pacific, that is the first thing that comes to my mind. Over the past seven days the trio of actors had visited troops and their families stationed in Japan and Guam, and now Hawaii. This was be the second USO tour for Coates and Boone and the third for Callie. 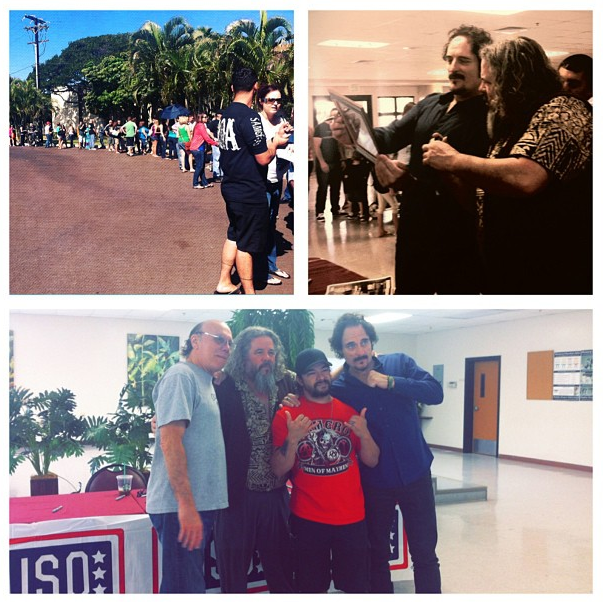 In 2010, the cast set out on their first USO tour together, along with fellow actor Theo Rossi, and delivered cheer and a touch of home to more than 2,000 troops in Kuwait and Iraq. Last year, Callie and Rossi, along with fellow “Sons of Anarchy” star Ron Perlman, spent a day visiting troops and military families at Marine Corps Air Ground Combat Center Twentynine Palms in California. They had just landed the night before, but no time for sun and surf - we were immediately off to Joint Base Pearl Harbor-Hickam for a meet and greet event! The line of hundreds of military members and families wrapped around the parking lot in the hot sun, but it was all cheers smiles as we arrived! For three hours straight, the actors gave out hugs, took pictures and signed posters and t-shirts. Then it was off again to meet hundreds more excited military fans. By this point my back and feet had begun to ache and I couldn’t fathom how they were still standing. Yet they were excited to meet more people and ready with big smiles as they spent two more hours taking pictures and autographing items. Finally, we spent the evening taking a private boat tour of Pearl Harbor, stopping by the USS Arizona Memorial. Awed by its significance, Coates, Boone and Callie agreed that our men and women in the military sacrifice so much and deserve the utmost respect.